A fighter pilot was forced to eject during an attempted landing on the aircraft carrier USS Carl Vinson in the Celebes Sea, south of the Philippines, the US Navy has said. The pilot was recovered safely. The F/A-18E fighter jet, which was part of Carrier Air Wing 2, was on final landing approach after conducting “routine flight operations,” US 7th Fleet Command said in a statement. The incident is under investigation. 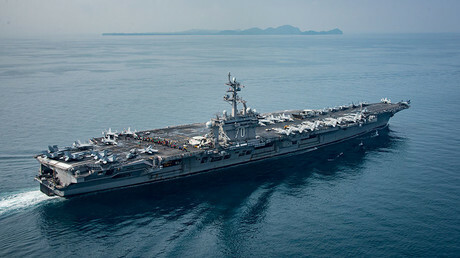 “There are no apparent injuries at this time,” the Navy said, noting that the pilot has been evaluated by medical personnel aboard the Carl Vinson. The carrier is the flagship of a task force that was “steaming out toward the Sea of Japan” the White House said earlier this month. On April 15, however, the Navy posted a photograph on Flickr with a description placing the Carl Vinson in the Sunda Strait, several hundred miles south of Singapore. The Carl Vinson battlegroup was deployed in East Asia in January. According to the US Navy, the carrier is accompanied by the missile cruiser USS Lake Champlain, and destroyers USS Wayne E. Meyer and USS Michael Murphy. 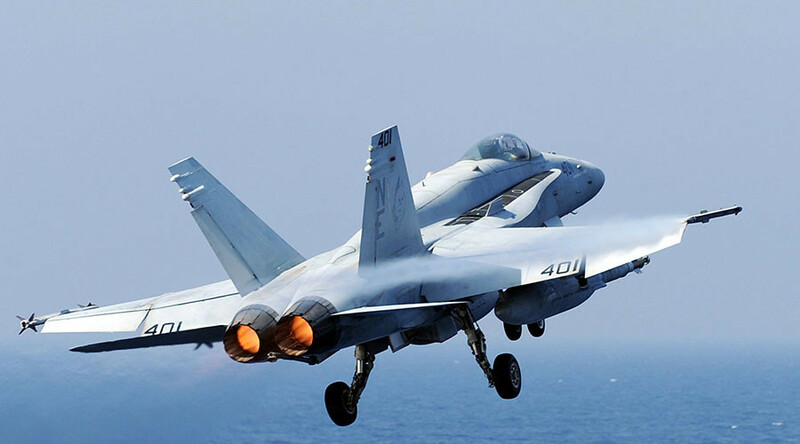 Developed by McDonnell-Douglas and manufactured by Boeing, the F/A-18E Super Hornet is a single-seat, twin-engine, multirole combat jet that has been in US Navy service since 1999. Its intended replacement, the F-35C, is behind schedule and over budget.